There are two types of high traffic websites. The Topdog and the underdog. Top dog websites are websites that have enough manpower to constantly produces highly engaged and viral content. Meanwhile, the Underdog websites are made by the small business owner that hard-earned their Google rankings by trying to optimize every title, heading to improve their SEO score. Even the Topdog has to struggle with SEO their web pages. However, We, the underdog, are the ones who have to struggle and put more effort into thinking about how to best SEO our website. Therefore, choosing the right WordPress Seo plugin for your website is a very important decision. As a WordPress Theme maker, we have examined many of the top WP SEO plugins and other WordPress SEO tools and are also using many SEO plugins for WordPress at the same time to make sure our articles get read. In this article, we will discuss the best SEO plugin for WordPress. No WordPress plugin can guarantee a high ranking on Google if you are not implementing them correctly but we are sure they definitely will help you at least, narrow the gap on the way toward top Google Ranking. Google does not randomly pick articles and promote them to the first page, the first position. To give yourself a chance to stay in the top positions in SEO, on-page SEO by optimizing your content is very important. According to WPThemeDetector, Yoast SEO is the second most installed WordPress plugin and also the most popular SEO plugin for WordPress. It helps us solve the basic problem of all copywriter: examine our articles and decides if it is too complicated to read if it is SEO optimized or not. As you are typing your post, you will not pay attention to your keyword and post format in most cases. That’s when YOAST jumps in. It checks your context, gives recommendations to help you improve your article instantly. Besides, it claims to give you the ability to generate XML sitemap in just one click, gives you full control of your site’s breadcrumb, canonical URL and Title, meta description. Using SEO by Yoast is very simple. Just type your article, select a Focus keyword and it will start examining your article. You can also edit preview snippets of how your content will look like in Google’s search result. The best thing is, you can do all of that for free. Yoast’s premium empowers you with even more control and automation over the internal linking suggestion, redirection management and focus keyword management. For those who thought Yoast is the only tool, you need: SEO is not just about optimizing your content. The name ‘All in One’ kind of explains everything about the plugin. Editing and generating robot.txt, .htaccess file. All in one SEO pack’s premium service also help you save a lot more manpower regarding optimizing your site toward a better Google ranking. One of the drawbacks of this WordPress SEO plugin is that its configuration can be quite complicated. Once you installed the plugin, it requires putting some time and efforts to correctly configure the system. After that, everything will run smoothly to SEO your site. Many people may review all in one SEO vs Yoast and try to pick one out as the best WordPress SEO tool. However, I find this really too close to call. Both work perfectly and helped us all gained so many organic traffics. How do you know for sure which keyword is better than the other? Do you do keyword research or are you just typing whatever you had in your mind? One thing that’s more important than having a high ranking on Google is having a high ranking for the correct keyword. Most of the time, we had an idea of which keywords, which niches are being searched on Google but we do not know exactly the volume of searches or people’s demand for that keyword. We cannot distinguish which keyword is actually better. All of that can be solve swiftly with Google Keyword Planner. Nowadays, using Google Keyword Planner for Keyword research is an indispensable part of the copywriter’s job. You can brainstorm a list of keywords you already had in your mind to see which one fits your idea the most. You could also use Keyword Planner to suggest the related keyword of a niche that you do not have many ideas about it. Besides, Keyword planners can partially help you with SEO localization by forecasting the number of monthly searches for each territory. Applying the massive insights from Google Keyword Planners can help you find the top niches easily. The only thing about it is that you must have an active Google Adword account to see the forecast data exactly. However, considering you are a webmaster and you are selling something, running an active Adword account might not be an issue. Unless you are new to the Internet, or you own an analytic firm, there is no reason for any web marketer to not use Google Analytics for their website. Implementing Google Analytics for WordPress is easy. 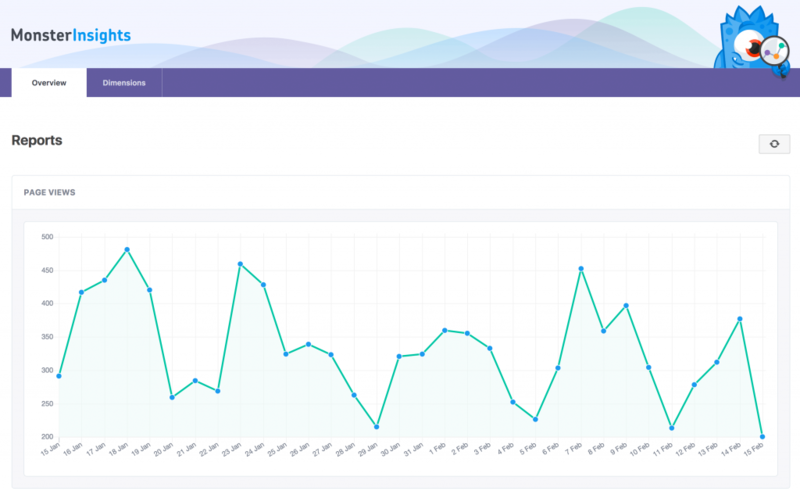 It is even easier to manipulate Analytics data directly from your WordPress backend with the use of Google Analytics by MonsterInsights. Whoever you are, whatever you do, this plugin should always be in the top 10 WordPress plugins for SEO to install on your site. If you are familiar with Google Analytics, you could track your e-commerce, create custom dimensions, custom event tracking and do many other things right from your WP dashboard with this plugin. How can you improve your SEO with this WordPress SEO plugin? With Google Analytics implemented to your site, you can get to know every aspect of your site. SEO quake is another third party extension that is not quite a WordPress plugin. However, it is an essential tool that has been of great help to a large number of WordPress webmasters. 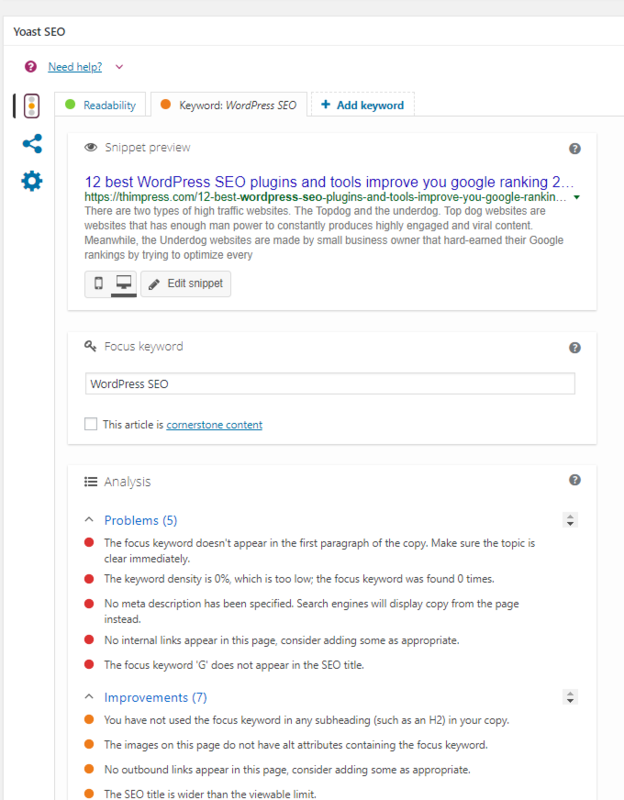 It boasts to be a powerful SEO toolbox for your browser by letting users do on-page SEO audit, examine internal or external links and many other features. – SEO bar with a summary of any webpage’s SEO index to give you an overview of how well this page is performing. – SEO dashboard: The dashboard provide a further analysis of the page’s performance. – SERP overlay: an excellent tool to help you with Google search and diagnose search result. You can then quickly do analysis and export data to excel to do further analysis. Best yet, SEO Quake can run on all the most popular browsers like Firefox, Opera, Chrome and Safari. As you have more content every day you may also remove more content and be managing all the articles, all the pages will become much more impossible. Some images may go missing. Some pages may disappear. You may have removed a post but still link to it on many other articles. There are so many stuffs going on with your site after a long period of running. Broken Link Checker is an effective plugin to help you deal with all that annoyances. Broken Link Checker keep an eye on every page, every post, or anything that are published on your site and make sure nothing is 404. In case something gone missing, you will be informed instantly to fix. If you remove some pages, the plugin will also make sure it conforms with the best SEO practices regarding removed pages. Installing and using Broken Link Checker is quite simple and it definitely a must have a plugin to maintain your site to make sure it is always in the best condition with no penalty from Google. You may wonder the relation between WordPress SEO plugin and Cache plugins. It’s very simple. One of the deciding factors Google uses to measure pages’ SEO level is how fast it loads, on both Desktop and Mobile. For that reason, website speed plays a crucial role in ensuring a high SEO score as it create cache versions of your website and instantly speed up your site. To help caching your site at the most efficient level to optimize Speed, Viper Cache provides several Caching options. Most advanced caching methods like object cache, CDN, etc, are all available with Viper Cache. Viper Cache is one of the best WordPress plugins and we have recommended to many WP bloggers so it undoubtedly will provide a great SEO improvement for your wp website. It is a common knowledge that WordPress editors tend to add plenty of outbound external links to their blogs. Meanwhile, they often forget to give those link a NoFollow link rel, creating potential SEO juices to other people’s site and unintentionally reduce their site’ rank. Having said that, dofollow links are not the main driving force toward a low ranking. Having all Nofollow external links does do better than having plenty of do follow the link but excessive dofollow links can terribly set your site back. That is the purpose of Rel NoFollow Checkbox – to make sure you keep in mind which link to be no follow and which ones to follow. This Rel NoFollow Checkbox is an amazingly simple SEO WP plugin that you should not miss in your site. When was the last time you pay attention to giving your images a title and an alt tag? Did you know that even Facebook use Alt tag for every of their images? Image Optimization is like a forgotten power, it is very important but is often underrated by most marketers. Sometimes, it is just because we are lazy adding tags to images but perhaps this optimization, along with many other optimization can truly help you boost your site’s SEO score. With SEO Optimized Images, you are always reminded to make sure images are also optimized. It is an unspoken rule that anything that has to do with inbound or outbound link has to be taken great care of in SEO. SEO Redirection Plugin is a great plugin to help with WordPress SEO by controling 301 redirections on your site. Migrating pages from an old website might not be as difficult using this plugin. Imagine all traffic to your site is a water stream going to a bucket. If your bucket has many holes, the water will be leaked outside and you may lose potential leads (you know, the ultimate goal of all marketing efforts is to acquire leads). SEO Redirection can help you fill all the holes in your traffic bucket. What is the best WordPress SEO plugin that can significantly boost your site? Finally, as we have analyzed several of the best WordPress SEO plugin, it is even more difficult to actually pick the best one out of the 9 plugins. Considering that you must use many of them at once, choosing the best SEO plugin seems pointless. One tips that can greatly help with your SEO operation is that you must understand the plugin that you use very well to make the most out of it. If you are just installing the plugin without any configuration, it would even do more harm than good to your site. Try to read every instruction carefully. Search for documentation and consult supports if needed. Another tip for running a highly search-engine optimized site is that you must make sure your site speed is fast. There are several ways like using WordPress Caching Plugins as mentioned in this article with Viper Cache, or Optimize your image quality to the balance point between size and quality. Besides, there are many tips on how to improve your WordPress website’s speed like using CDN, upgrading to PHP7. Using a fast and powerful server is also a key to improving your overall SEO score.